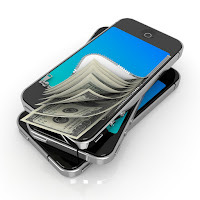 The big guns – Apple, Samsung and Google – are dominating the mobile payments news cycle now that their respective ‘Pay’ platforms threaten to disintermediate the world’s banks. They won’t have it all their own way, though; banks are responding with their own platforms. But is it too little, too late? Apple Pay registered some impressive figures when it launched in the US in 2014. It seems, though, that adoption has slowed, as more devices go unregistered and the initial hype dies down. An ongoing survey conducted by Infoscout shows the number of eligible Apple Pay users who tried the service dropped from 15.1 percent in March to 13.1 percent in June. The victory, though, is the impact on the market. Apple has done an exceptional job in bringing mobile contactless payments into the mainstream, paving the way for Samsung, Google and the banks. Samsung Pay has been live in Korea since late August and has picked up around 500,000 users. This statistic should grow following launch in the US at the end of September and not least because the platform can make payments with both contactless and mag stripe terminals. On top of this, Google launched Android Pay on 10th September. We’re yet to see any adoption figures here but the land-grab is certainly going to be interesting. Indeed, the advertising war has already commenced! Separately, Google has also updated its wallet app to offer peer-to-peer payments and wallet-to-bank transfers. Android and iOS users can now send money to anyone in the US with an email address, even if they do not use the app themselves. With bill splitting, activity notifications and the ability to set up recurring transfers thrown into the mix, it is clear to see that the internet giants are intent on taking bank disintermediation even further. Game over? Don’t bank on it. But the banks are not walking quietly into the night; September has seen a spate of activity from the payments industry’s more traditional quarters. First up, Royal Bank of Canada (RBC) became the first financial institution in North America to launch a host card emulation (HCE) mobile payment service, following a pilot in December 2014. On top of this, the bank also became the first to have a patent confirmed for its ‘Secure Cloud payment and security technology’. Across the pond in the UK, Barclaycard has used HCE to expand the functionality of its Android mobile application to enable near field communication (NFC) mobile payments for its customers. And more are coming. Earlier this month, ING in the Netherlands begun testing a HCE-based service which will be made available to 5,000 of the bank’s customers who have an Android smartphone running KitKat 4.4 and above. While the internet giants have the upper hand, the war is far from over. Few would argue that bank disintermediation is underway and most accept that it is likely to accelerate. What’s more, the ultimate price for banks may well be bigger than they realise today. Once visibility and control over customer relationships is relinquished, so too are all other revenue opportunities that support the traditional banking model. For banks’ new competitors, particularly retailers, payments and other traditional banking facilities are more an inconvenience than they are business opportunities; their goal is to remove all points of ‘friction’ from the consumer’s mobile experience. To this end, they don’t just want to steal the market, they want it to disappear entirely. It is encouraging therefore to see the banks reclaiming ground with their own solutions. Apple, Google and Samsung have each failed in their bids to take control of the market. For the most part, banks still believe that they are the trusted partners of consumer finance. It is now down to the each individual bank to decide whether it retains, recedes or expands its position in this market through partnerships, proprietary solutions or a combination of the two.